Style up your workout with the Active Cropped Jacket – an all year classic staple. Presenting a balance of fashion and function, the jacket is fitted and lightweight featuring details of mesh panelling for breathability and a zip pocket. 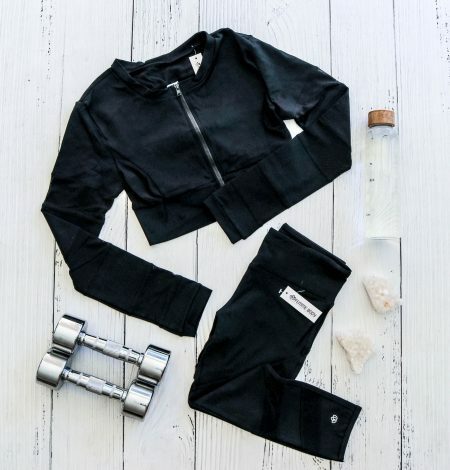 Perfect for crisp mornings/evenings and adding that extra bit of style to your active wardrobe! Team it up with our Exhale Sports Bra, Movement Run Shorts and Elegance 7/8 Tights!